MAGFest 8.5 - Meeting the Low Expectations | Community. Reviews. Pwnage. Coming on the heels of the disappointing VGU-CON, my expectations were much lower for MagFest 8.5. A 3-day 72 hour ticket cost only $16 more than a 1-day ticket for VGU-CON. I had debated about pre-registering for the event costing $60 for a 3 day pass, highly recommended on their website because space wouldn’t be guaranteed “at the door.” Knowing I’d only be able to attend for one day, and not having confidence in their event, I decided to take my chances not only on space, but hoping a 1-day entry pass would be cheaper. The MagFest 8.5 website seemed amateurish in comparison to VGU-CON’s. Advertising bands, guests, and events that had very little to do with actually gaming and didn’t at all mention gaming tournaments. 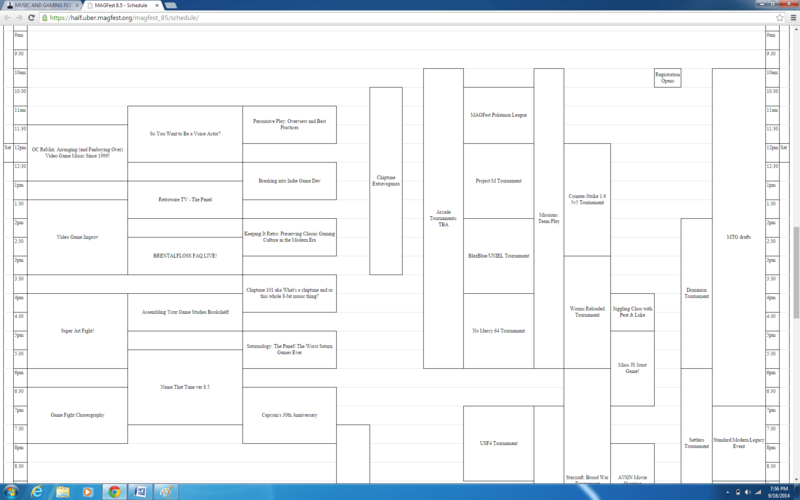 The link to the 3-day schedule was broken, and once fixed (after MagFest concluded) looks like someone took a snapshot of an Excel spreadsheet and posted a link to a jpeg. 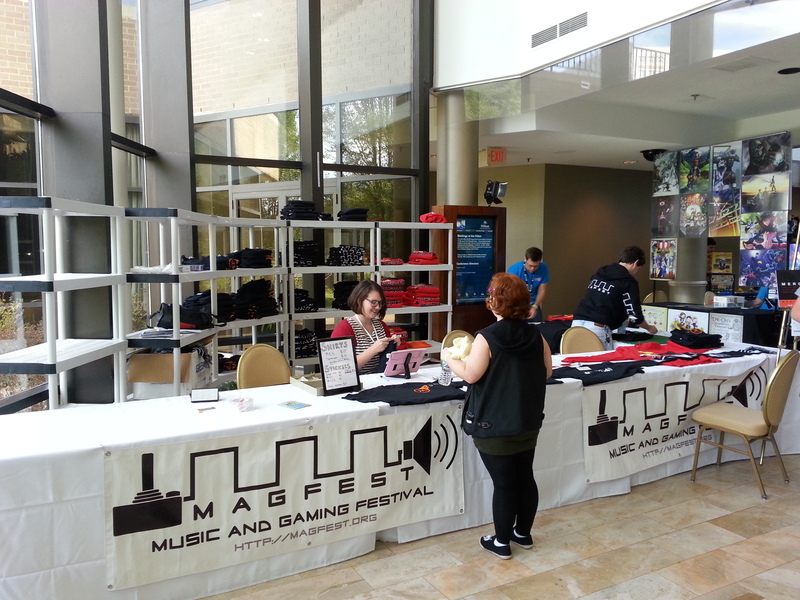 Since their website didn’t even provide me with basic schedule information I arrived to MagFest 8.5 at the Hilton Hotel in Alexandria, Virginia, on Sunday at 10am, hoping there would be an event that would anchor the day and bring the event to a solid conclusion. Before entering the Hotel, I came across my first annoyance: you have to pay $15 to park. Luckily a friendly employee saw my annoyance and helped me find a free spot as long as I wasn’t there all day. Once I entered the Hotel I saw small signs for MagFest with arrows leading me to the MagFest registration desk, which wasn’t particularly busy. There was only one person was in front of me in line and there were four employees sitting behind the counter. I figured I’d be in and out of registration in no time. I was informed a pass for Sunday was $25 and I was happy I didn’t pre-register (Saturday was listed as $35). Everything from here on out began to validate my concerns for this event that started from their website. Despite four employees at the desk and only one customer in front of me, the registration process took an inexplicable 15 minutes. Only one person and one computer were being used to register individuals, and the other three people seemed idle until you completed the first step computer registration. I immediately wondered what it was like on Friday or Saturday when there were probably a flood of people and felt sorry for those who had to wait in this inefficient process. After registering and receiving a very nice laminated MagFest 8.5 badge, I picked up the tri-fold calendar of events and examined my options. To my dismay there was really nothing I was interested in until noon, which had a Super Smash Brothers and Halo 2 tournament. Looking further into the schedule as to what I missed on the previous days I noticed a Counter-Strike 1.6 5v5 tournament from noon – 3pm in the LAN room. I now became extremely annoyed and disappointed that their schedule wasn’t working online. CS is my favorite game and I would have considered coming on Saturday instead had I known. Looking closer at the calendar I noticed two other glaring problems: MagFest had misprinted the date of the event listing Sunday as September 15th (in reality it was the 14th), and further they mislabeled the afternoon activities as a.m. events. 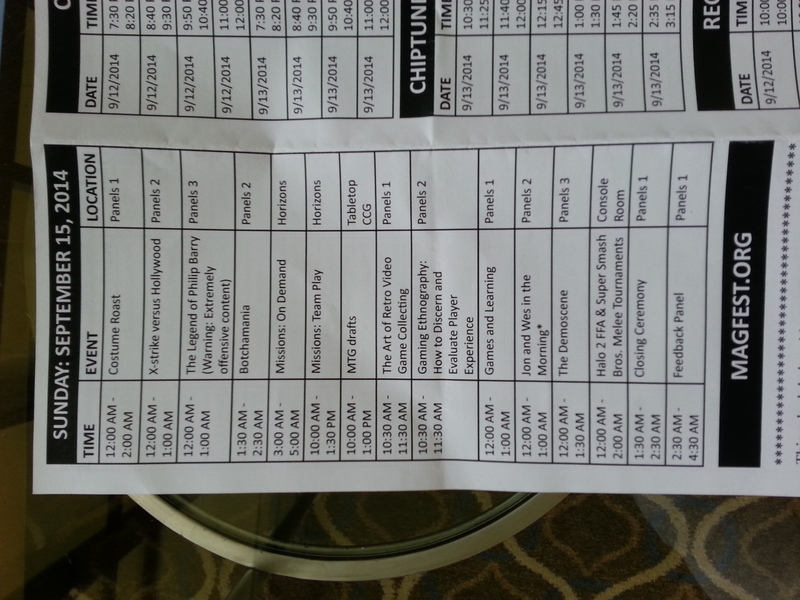 Even with the annoyance I had the glimmer of hope that maybe MagFest is the real deal as compared to VGU-CON. 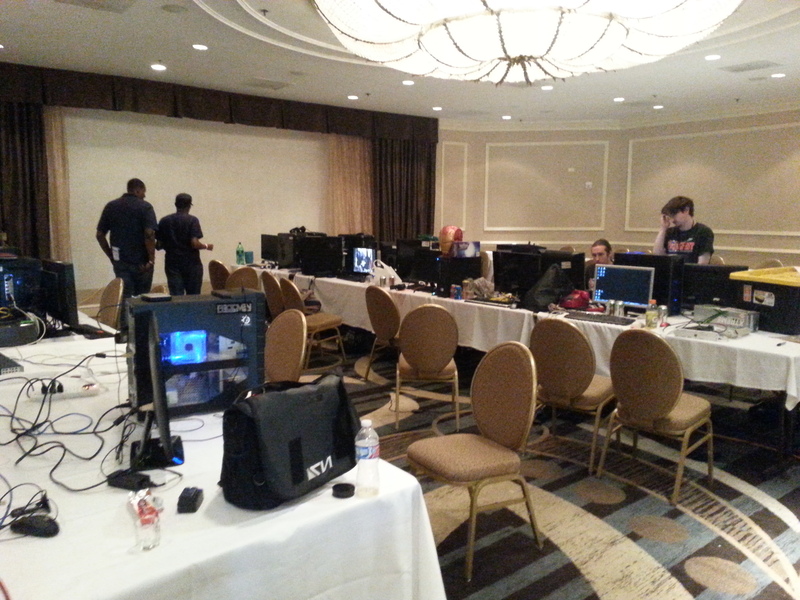 An event that included a CS tournament is exactly what I was hoping for in MagFest. With excitement I found the LAN room where all of these awesome computer gaming events had happened. Instead of walking into a room with people playing at their computers or talking to each other, or laughing, the room is quite the opposite. It became clear the party was over. 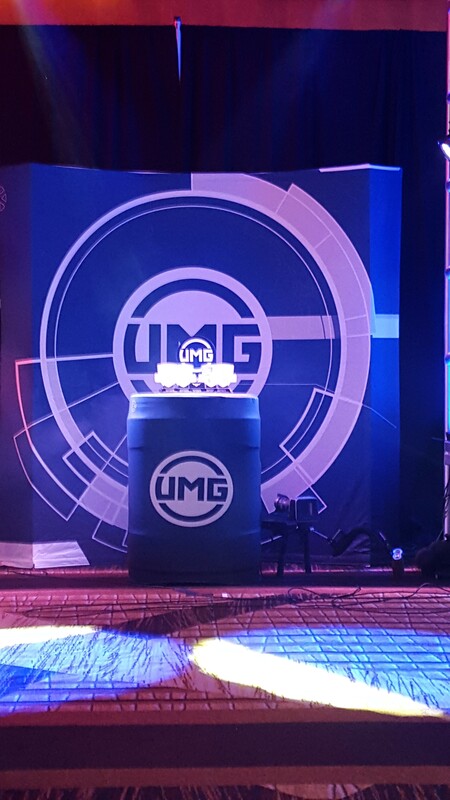 Fancy custom computer rigs were scattered here and there on tables but they were few and far between. Several were disconnected and clearly being packed up. 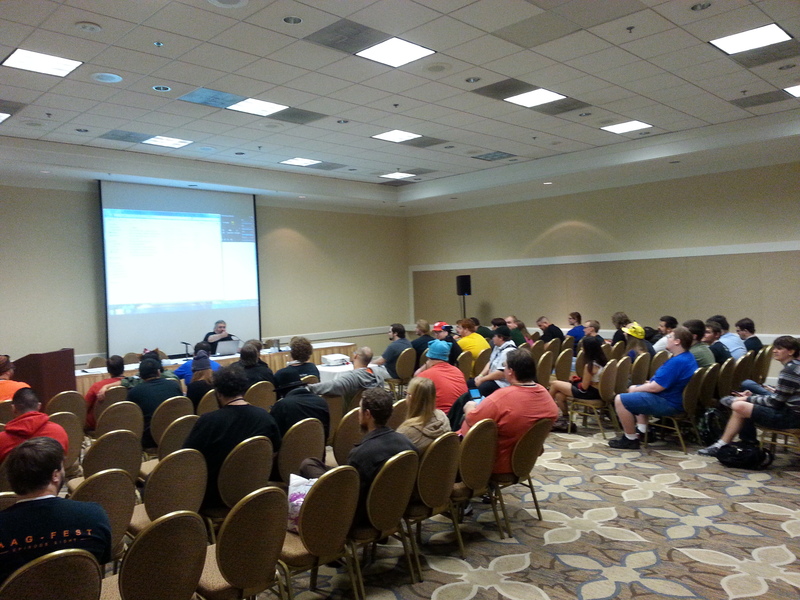 Only five people were in the room and some seemed to be MagFest organizers. While disappointed, I realized I’m there at 10am on the last day, so this display shouldn’t have surprised me too much but it did. I figured people would have taken advantage of the 72-hour gaming fest and would be living on amp energy drinks and pizza until they had to be carted away. I walked up to two of the people in the room and asked about the Counter-Strike tournament from the day before. “How was it, was it really 5v5? Who won?” One of them responded, It didn’t happen. The person in charge of the brackets got sick and didn’t get it organized in time. Wow I thought. They did tell me the Starcraft tournament did occur, but I’d lost my enthusiasm. My perception of MagFest had changed. I didn’t regret missing Saturday at all. 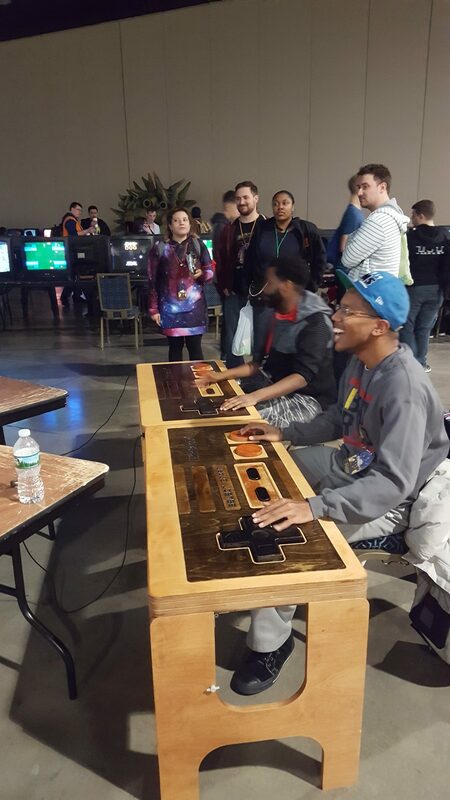 I left the LAN room graveyard and went on to see what else MagFest had to offer. 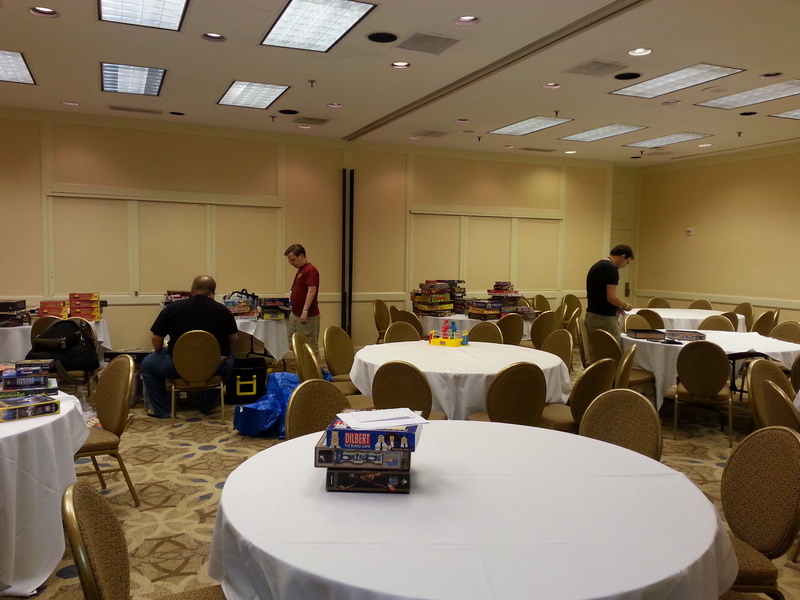 Following signs for the tabletop gaming room around the corner I entered yet another distinct conference room full of board games stacked on multiple tables. Just as with the LAN room, this one also lacked participants. Surveying the games I noticed a number of popular titles from Dominion to Settlers of Catan to Scrabble and the list goes on. Despite the lack of people (admittedly at 10:30am wasn’t entirely surprising) I was impressed with sheer variety of games and tables available for play. Kudos I thought, but nothing to do here so I continued on. Greeting me at the bottom of the escalator were two large tables proudly hanging MagFest banners, behind which stood several six foot tall racks with nicely folded MagFest clothes for sale. Not just yet I thought, but maybe there will be something memorable worthy of a t-shirt later. To the right was the main vendor area which was a sharp contrast to that of VGU-CON. There were far fewer vendors than I expected, and while there was some diversity among them, most were selling similar trinkets. The only non-profit I noticed was Extra-Life. Moving past the vendors I found the main gaming floor. Now THIS was more like it. Dark. Shadowy. All sorts of consoles (Xboxes, Playstations, Gamecubes, and even an Atari original) hooked up to small TVs everywhere you looked. Stand-up arcades. 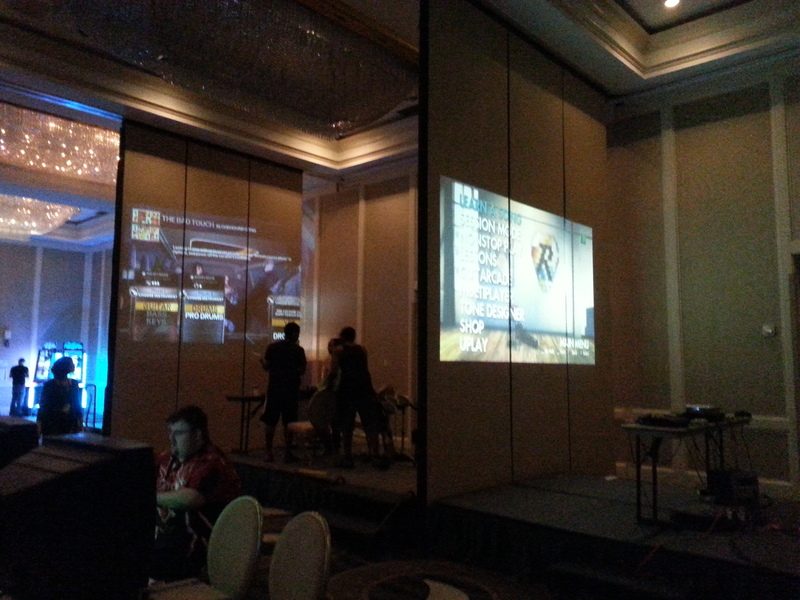 Some games being projected onto walls for large screens. I was rather impressed with the range of games and amount of consoles to support crowds. Once again it felt like there should be more people, especially being the main gaming floor, but it being Sunday morning with all events having taken place during the previous two days I came to terms with this being another low turnout event. By noon there were a few more people but the room still felt overwhelmingly big as I observed the few that were sitting and playing games. I stayed long enough to watch the start of a Super Smash Brothers tournament with around 20 participants. Unlike VGU-CON, prize money was not pre-determined nor advertised, and I learned that MagFest pays with different color “coins” redeemable at any vendor at MagFest. The value of the coin is set in the color you win, and the color you could win is set by how many participants play in the tournaments. Much less exciting than VGU-CON’s advertised cash prize money, but then again VGU-CON couldn’t deliver on their advertised prize amounts due to a lack of participants. In a separate room nearby I checked out a newly designed video game in the alpha test phase titled “Missions “. A cool concept, Missions is an interactive game where players sit in front of individual computer touch screens all while observing a large main screen in front of them showing content similar to Star Trek’s “on screen” function. Each player assumes a unique role on the “ship” and take action through their individual helms, all while impacting one main storyline in front of everyone. Unfortunately I didn’t have enough time to observe the game develop but I would love to see what challenges the team members would have to face and how they’d interact with each other socially in this setting. Looking for other things to see and do I quickly observed “The Art of Retro Video Gaming Collecting” panel from 10:30-11:30am which had three people in the audience. Yikes. Later on I checked out the “Jon and Wes in the Morning” panel from noon to 1pm, and I actually saw my first real crowd for the day. The room was packed! Listening for 15 minutes I could see the appeal, Wes Johnson was entertaining on stage, able to connect to the younger generations with his topics and interactive content. At 12:30 I decided to pack it in. There were only a few more hours left on the schedule and there wasn’t anything appealing left to keep me there. Just like VGU-CON I felt that MagFest 8.5 had much promise, but severely under delivered. The $25 Sunday entree fee was really $40 after hotel parking, making this an expensive excursion and, based on what I experienced that day, one not worth taking. Admittedly, a large part of MagFest’s excitement and entertainment may have been Friday and Saturday nights when their array of bands rolled through and performed. I regret being unable to attend and listen and observe the energy. Regardless, MagFest should probably scrap Sunday from their schedule altogether, or at least provide free parking so the event is truly only $25 to attend. Realizing this was their “smaller” event, I look forward to their main event in Maryland next January. Hopefully there I’ll be wowed because so far no gaming event yet has been worth my time or money. I’ve went on friday and saturday, it was fine.